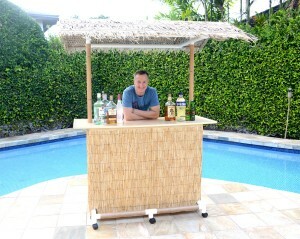 Choose from one of our portable Tiki Bar packages custom built in the USA and tailored for your specific needs. FREE SHIPPING TO ANY MAINLAND US STATE! Outside mainland US please enter your address in the cart to calculate shipping fees and enter “Shipping Credit” in the coupon box for a $300 shipping credit. 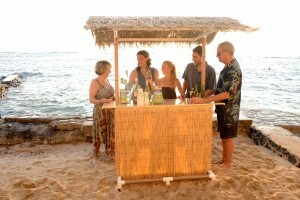 Our Paradise Package is our most complete package. With the addition of the carry bags and an extra shelf it’s great for catering, trade shows, corporate events, party rental suppliers, event planners, wedding planners and more.